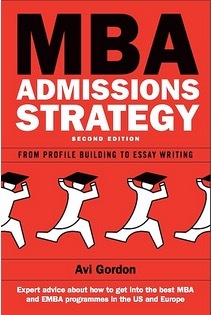 MBA Studio’s book, MBA Admissions Strategy: From Profile Building to Essay Writing (McGraw Hill Education/ Open University Press) is a McGraw-Hill bestseller now in its 3rd Edition, which has been widely acclaimed by independent media and critics and warmly praised by past MBA admissions applicants. 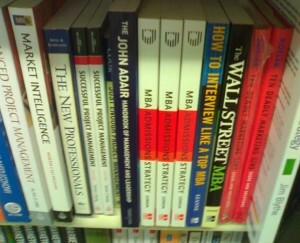 See reviews and comments on Amazon.com, Amazon.co.uk, Business Week, About.com, MidWest Book Review, MBAChannel, and GMAT Club. 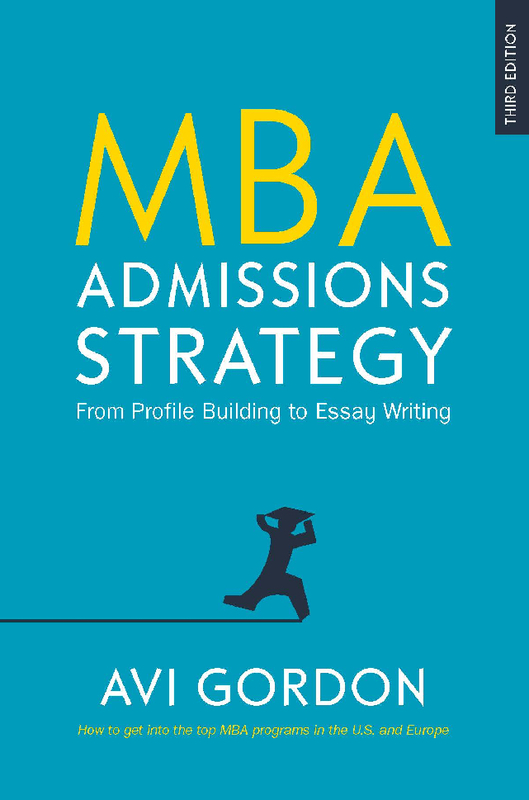 See MBA Admissions Strategy on Facebook or Google Books. The 3rd edition (2017) keeps everything readers liked about the first two editions, but updates all sections with new insights for the changing field, and current best practices. 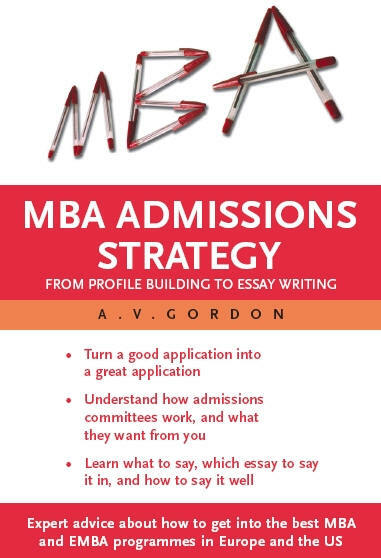 “If you buy only one book about how to apply to a top 20 MBA, make it this book! “MUST HAVE BOOK. By far the best book on the subject. Even if you have already purchased Richard Montauk book or any other MBA consulting book, I still advise that you buy and read this book. If you have not purchased any book yet, I strongly recommend you to start with this book. If you are targeting top 15 MBA programs, reading this book will be the best thing you could do to improve your chances. 1) Very structured approach. It begins with helping you profile yourself. 2) No nonsense material. Very brief, succinct and to the point. 3) It leaves the obvious clutter out. Author does not repeat himself. I think this is the biggest plus of this book. There are many top sellers (no names), which are too thick at the expense of being repetitive. “I have bought a LOT of MBA books, pretty much everything you can think about, but I have never written a review for any one of them. I honestly felt guilty not to write one for this book. That should just give you an idea of how good this book is. This is the book that you WANT to read. Most people who give reviews don’t mention what I consider the single most important part of this book: Whoever you are or whatever you have done, if you want to go to b-school, you can. “The book is dedicated towards tackling essays which is an area which many (including me) struggle with. The book repeatedly emphasizes the importance of marketing oneself through the application campaign. It does an excellent job in this respect as it is filled with insights such as personality profiling, extracting themes and mapping these themes into the essays . . . Full of useful self-marketing tips such as creating your own memorable labels to insert into the essays. “A great GMAT score on its own won’t get you into a top business school, an average one makes it even harder (but not impossible) – your essays make all the difference! Section 1: Admission Fundamentals analyses the behind-the-scenes culture and practices of admissions and how to promote yourself in this context. It discusses the attributes schools look for, and how to negotiate the filters Adcom uses in screening applicants. Section 2: Profile Development outlines a system to identify the competitive value in your background, how to construct your value profile from this, and turn it into a compelling message. Section 3: Essay and Interview Management is about how to advance your profile strengths in the essays and interview. It is about how to know what to write, which essay to write it in, and how to make an impact. Similarly for the interview: how to manage the process and get noticed. Section 4: Writing Technique is about writing better. It provides templates for organizing specific essays, gives solutions for improving expression and avoiding essay pitfalls, and a checklist of do’s and don’ts. Here’s what reviewer Jay Maven of “Deal Maven” said of the first edition (italics original): “What separates this book from others I’ve read is that it recognizes the application process for what it is: a potential business transaction. Adcom is the customer, and the product, of course, is you. Making a sale requires that you do more than produce a laundry list of the benefits of the product, it requires that you truly understand your customer’s motivations, needs and desires. Knowing this, you can frame your product in a way that makes sense to the customer. 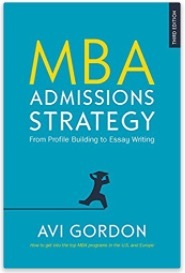 Here’s a review from a Wharton class-of-2010 student: “The nice people at MBA Admissions Strategy sent me a copy of their book a long time ago, but I haven’t had any time to post a review. In my opinion, this book is really great. I wish that I had it when I was applying. It has some really great insight into the strategies that you should use when creating your applications. It goes into everything from identifying your themes to approaching the most common types of essay questions. Other books are great for tactical advice (what to do when, how to go about it, etc), but this book mirrors my own personal philosophy about how you need to think about each step in order to create the best application for yourself. Highly recommended. In fact, I gave this book to a special someone that is applying this year. Check it out (link below to Amazon where you can see the 5 star rating! )” Source: Tinydancer’s MBA Blog. 1. Marketing to Adcom Getting elected. Seeing the world through Adcom’s eyes. “People people.” The reward system for admission officers. Business schools compete too. 2. 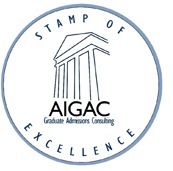 What Satisfies the Admissions Committee? The key attributes. Summary: A CEO in waiting. It’s your future not your past that counts. The four attribute dimensions. A four-part interlocking profile. Class balance. Highlighting diversity contribution. A two-way fit. Understanding the school’s market positioning. Start with your needs. Researching and choosing schools. Dig behind the websites and glossy brochures. Visiting the campus. How many schools? GMAT strategy. Managing references and referees. Priming referees. Referee fatigue. Interview strategy. Understanding behavioral questioning. International applicants. Foreigners for US schools. Americans for foreign programs. The committee meeting. Application timing issues. A basic timeline. The role of the essays. Fine-tuning selection. Rewarding strengths outside the classroom. Communication skills. Meeting the essay requirements. Profiling: Why do it? Creating an alternative basis for essay responses. Preparing for behavioral questioning . Brainstorming methodology. Shadowing the essay process. Finding and developing stories. Subjective realities and formative events. Personal features and attributes. Activities. Accomplishments and achievements. Skills and strengths. Difficulties, failures, and weaknesses. Leadership. Major influences: people. Major influences: culture and environment. Life-changing events and experiences. Diversity and contribution. Values and philosophy. Personal goals. Characteristics and qualities. Activities. Accomplishments and achievements. Skills and Strengths. Difficulties and failures. Weaknesses and inexperience. Leadership. Influences. Change and growth experiences. Difference and diversity. Values and philosophy. Professional goals. Reducing complexity. Selecting and grouping. Extracting themes. Which themes to choose? Theme example. The application message. Applying marketing principles. Message techniques. Mapping your message to the essay questions. Towards the question archetypes. 9. The MBA Question Archetypes Message Mapping. “Why an MBA?” Strengths,success, and achievement. Weaknesses and failure. Leadership. Contribution. Ethics and values. Teamwork. Key influences, mentors and role models. Direct personal inquiry. Creativity and innovation. Community service, self review, and the optional essay. Multiple archetypes in one essay. Balancing the essay set as a whole. Category approach. Theme approach. Plugging the holes. Mapping Essay Set One. Archetype analysis and mapping. Assessing gaps and openings. Revised mapping. Relevance and importance. Passing the “so what” test. Perils of “the written word”. Deleting the bits that readers skip. Choosing and managing human-interest stories. Show, don’t tell. Specific, detailed and concrete prose. The 13 essay pitfalls to avoid. Persuasive writing. Classic structures. Outlining. Signposting. Thesis statement. Further drafts: revising and re-rewriting. Reusing material for other applications. Techniques of writing clarity and simplicity. Brevity. Everyday language. The active voice. Using more and better verbs. Handling conjunctions and pronouns.